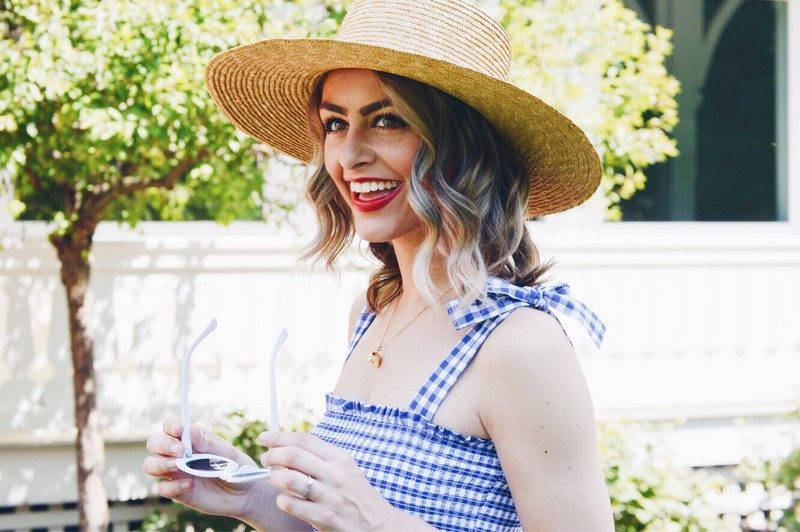 Gingham is one of my favorite prints, especially during the summertime. 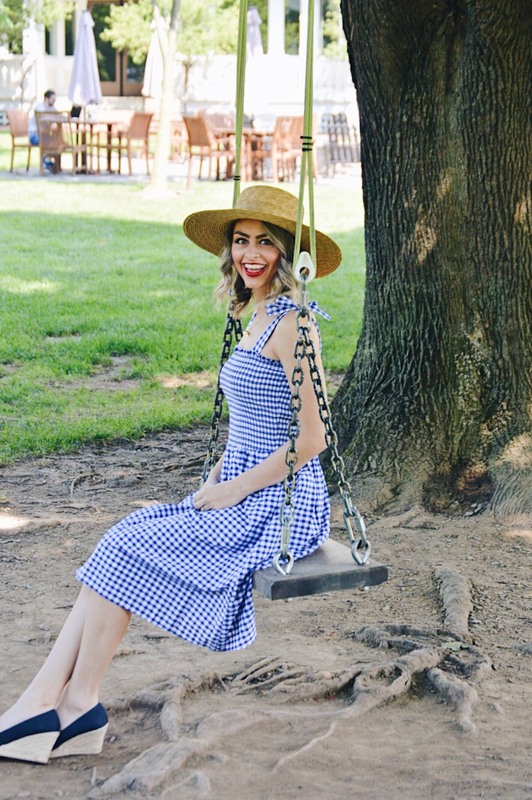 So it's no surprise that I instantly fell in love with this tie shoulder, gingham midi dress from Elizabeth McKay. This dress is so romantic and makes me want to twirl all day long! 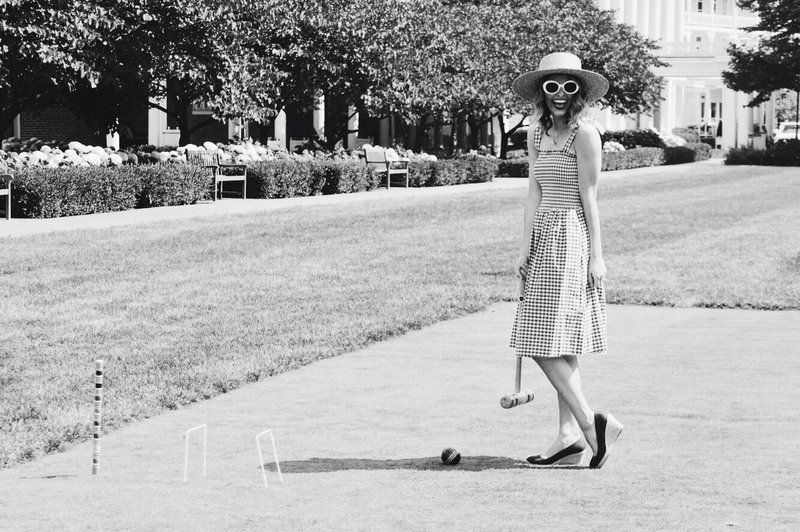 It was the perfect dress to wear for a day spent at The Bedford Springs Resort playing croquet and swinging under the old oak tree. 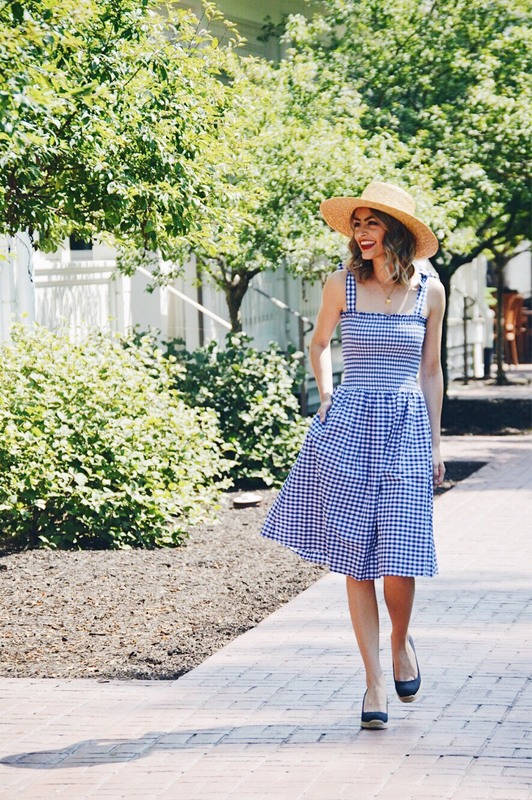 I paired it with my straw boater hat, navy espadrille wedges and my little oyster necklace from KJP for a perfectly preppy look.